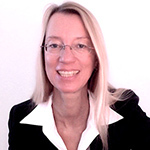 Dr. Katja Schroeder is the expert for bio-medicine, market analysis, market access and medical marketing at Kalms & Partner Consulting. Development of evidence based market access strategies as well as reimbursement and marketing strategies are in focus. Katja has worked for medical devices and pharmaceutical companies in Germany and internationally. Her responsibilities included strategic upstream marketing, planning and implementing product launches and KOL relationships. She is also experienced in sales and sales leadership, and indirect leadership in matrix organizations. In addition, she is strong in developing clinical strategies for reimbursement, in the communication of clinical evidence, and developing concepts for physician training. Katja holds a Ph.D. degree in molecular cell biology from the University of Heidelberg and a degree as a Market Access Manager from the European Business School.